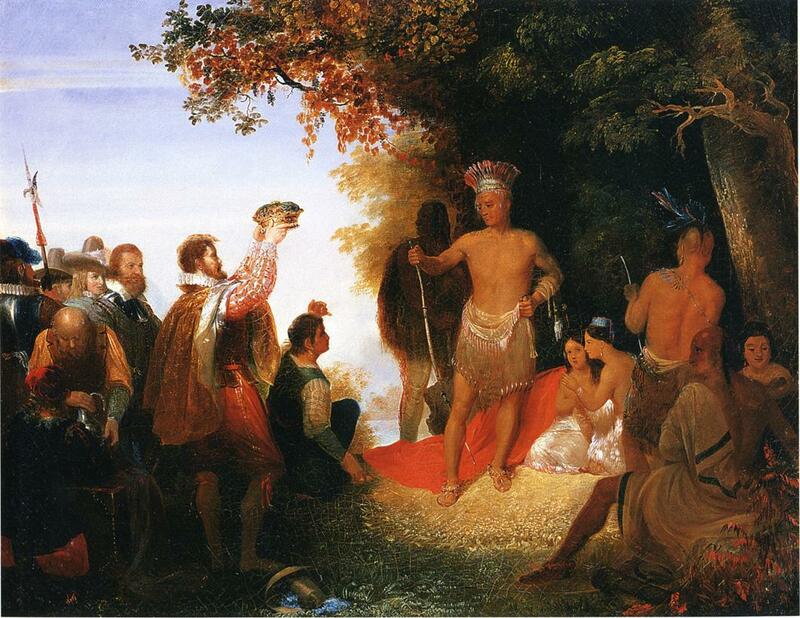 Wahunsonacock, called Powhatan by the English, was the sachem of more than 30 tribes, representing 128 villages with some 9,000 inhabitants living in territory from the Potomac River to the Great Dismal Swamp. Although this powerful chief initially opposed the settlement of the English colony at Jamestown in 1607, he soon established a friendly trading relationship with it. Possibly credible legend has it that his change of heart was due to the intercession of his daughter Pocahontas. Whatever his motives, his cordial treatment of the English was critical to the survival of the struggling settlement.